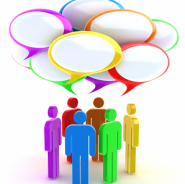 We have recently started running a patient participation group at the surgery. This is a meeting held every 6 weeks between patients and staff at the practice. This meeting gives us chance to brain storm for helpful ideas and troubleshoot any problems we may be having. We also discuss how the practice works and use the meeting as a forum for any ideas either from you the patient or us as a practice. We strongly value our patient’s opinions and want to use your ideas to help us progress as a practice. If you would like to be a part of this group please contact surgery and speak to Jacquie or Chloe.